It's nice to have information about how your business is performing and what your customers or competitors are doing. But without a way to make sense of all the details and activities your data collecting records, you're getting just that - information. What you need are insights that you can act upon to rethink a marketing strategy, change your pricing, or tweak a product. The best big data innovations give you the information and the insights you need to make successful decisions. That's what we like to facilitate at CreditDonkey - smart decisions, based on comparisons and reviews, so that you know what to purchase to improve your business. So many products are clamoring for attention in the "big data" space that it's hard to know which innovations are worthy of your attention. We can tell you, after our research, that the ones on the list below are the very best out there. Read on for the best in big data today. Trunomi aims to solve customer consent and data rights use cases, giving customers the power to safely manage and share personal data. Founder and CEO Stuart Lacey is an investor and entrepreneur who brings over 20 years of leadership experience to Trunomi. Why Trunomi is Best in Big Data: Your customers want to know and trust that their data is safe in your hands; Trunomi's solution allows businesses to request, receive, and prove the lawful basis of customer data processing while providing control and transparency to the customer. Their end-to-end platform is compliant with global data privacy laws, including EU GDPR, helping your business keep up-to-date with new regulations. 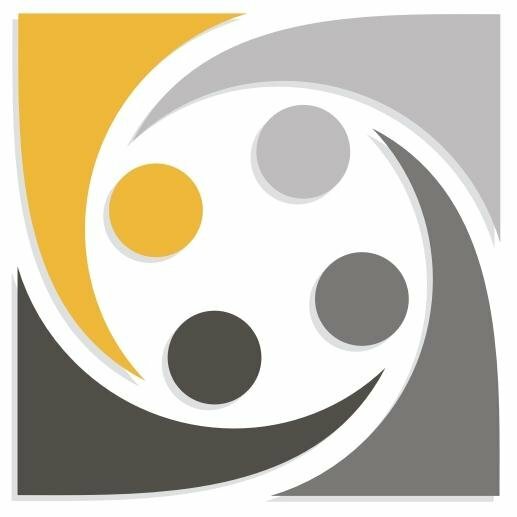 Finagraph creates tools for financial services companies and accounting professionals that are designed to benefit small businesses. Why Finagraph is Best in Big Data: Their flagship software, Flight, keeps both financial advisors and their clients updated on business activity through a single shared feed, allowing everyone to easily and efficiently remain on the same page. Strongbox, designed for financial institutions, makes loans easier than ever by automating time-consuming tasks like collecting documents and analyzing financials. Chartbeat provides publishers with valuable content intelligence that will allow them to make smarter editorial decisions. Why Chartbeat is Best in Big Data: Their platform makes it a breeze to instantly see how articles are performing and how to improve reader engagement, and their high-quality metrics and insights will help you build a bigger, more loyal audience. It even comes in a mobile format so you can access all your real-time reader data in the palm of your hand. Parse.ly provides digital media companies with valuable audience data and content analytics, giving publishers the insights they need to improve audience engagement. CEO Sachin Kamdor speaks around the world on analytics, data, and content strategies. He began his entrepreneurial career in EdTech, as a consultant who built, implemented, and managed systems across schools in NYC. 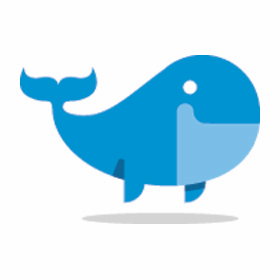 Why Parse.ly is Best in Big Data: Their content-powered API allows you to infuse your existing media platforms with your audience data, bringing your readers content recommendations that are proven to keep readers engaged and on your page. Not only that, but their product can improve on-site search, create personalized reader experiences, and more. Their more widely used product though is their content dashboard used by teams creating content to access and understand how they caught readers' attention. DataRPM delivered the first cognitive predictive maintenance platform for industrial IoT devices; it uses machine learning to automate asset failure prediction. Co-founder and CEO Sundeep Sanghavi is an innovator and entrepreneur with over 20 years of work in the field of data insights and analytics, while co-founder and CTO Shyamantak Gautam is a serial entrepreneur with a record of building big data transaction systems in large enterprises. Why DataRPM is Best in Big Data: Their platform runs automated tests, learns from and compiles the results, and gives prescriptive recommendations for solving possible failures of IoT devices before they happen. This allows businesses to optimize IoT maintenance, reducing operational costs and making your workflow more efficient. Mixpanel offers product analytics that make it easy to understand every customer's journey across mobile and web devices so you can improve your product. 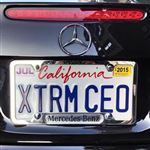 CEO and co-founder Suhail Doshi is the company's strategy and vision leader, while co-founder Tim Trefren has served as its Head of Engineering and interim Head of Customer Success & Support. Why Mixpanel is Best in Big Data: This solution can help you understand what features customers love, which ones keep them engaged, and what's causing users to disengage. You can even ask Mixpanel questions and get detailed answers that will help you tailor your product for success. 3scale is an API management platform that's both flexible and scalable, so you can build on it both now and in the future. Why 3scale is Best in Big Data: With the 3scale platform, you can secure, share, distribute, control, and even monetize your APIs with a platform that scales with you. In the digital world, APIs are what drives business value; make sure yours are managed in an agile way that gives your team the flexibility they need to continue innovating. Dash is a device that enables your car to communicate with an app on your phone, giving you valuable insights into your car's health, fuel efficiency, and more. Why Dash is Best in Big Data: With a simple installation, your car will start telling you when it needs maintenance, how your driving is affecting it, and what dashboard alert lights are telling you. By enabling you to drive smarter and keep your car well-maintained, Dash can even help you improve your car's resale value. Planet is a company that provides daily satellite imagery of all of Earth ’s landmass, featuring a number of different datasets with applications for business, developers, and research. Co-founder and CEO Will Marshall is a former NASA/USRA scientist who holds a PhD in Physics from the University of Oxford, while co-founder and CSO Robbie Schingler is a 9-year NASA veteran, where he served as Open Government Representative to the White House, among other positions. Why Planet is Best in Big Data: If you're in agriculture, finance, energy, mobile mapping or geospatial research, or a developer looking to create new uses for satellite imagery, you'll get great use out of Planet's data. Students, professors, and other researchers who want to monitor a specific region or regions can even use their powerful dataset for non-commercial purposes. Quid opens up the world's information to you, offering you a bird's eye view of any market landscape, competitor insights, information on how your brand is perceived, and more. Founder and CEO Bob Goodson has advised senior executives at the world's largest semiconductor and consumer electronic companies and, prior to building Quid, was a founding member of Yelp. Why Quid is Best in Big Data: If you need a platform that can help you understand the trends that are reshaping your industry, inform your market research, or guide technology research, Quid is for you. Its datasets can tell you the size, growth, unmet needs, barriers, and top investments in any market, helping you map your company or start-up's place. 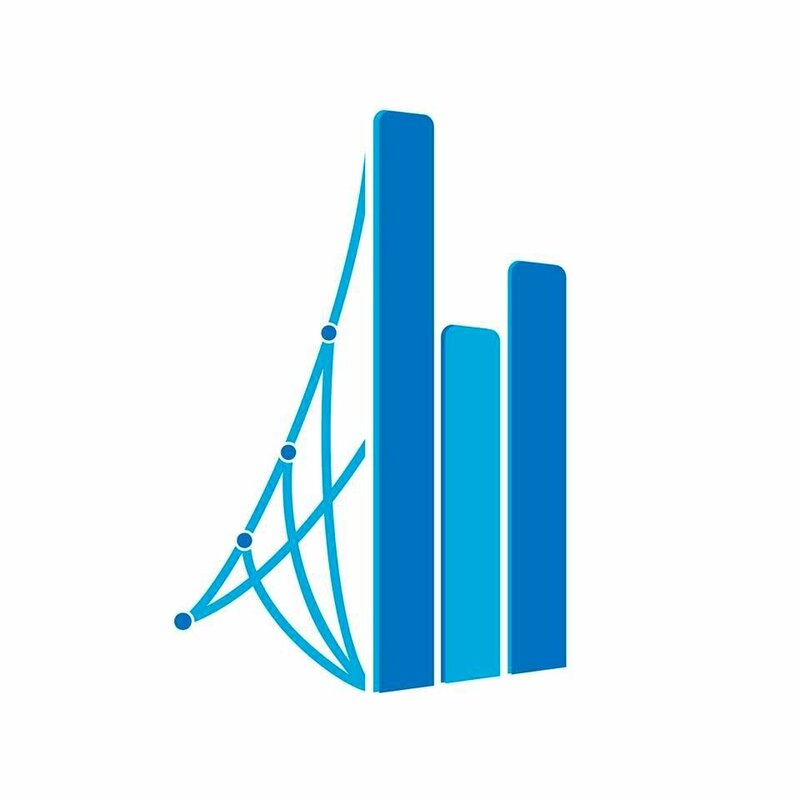 Simply Measured provides businesses with full-funnel social analytics for social and content marketers as well as digital agencies. Why Simply Measured is Best in Big Data: Their platform helps you discover emerging trends, conversations, and influencers, analyze competitors' social performance, find out how your social marketing is influencing leads and purchases, and more. With their data intelligence and insights, you can more efficiently reach the right people, publish the right content, and impress existing clients. Looker provides enterprises with business intelligence and big data analytics that every department can use. Founder, Chairman, and CTO Lloyd Tabb has 25 years of experience in internet and big data technologies, including as a founder of Commerce Tools, while co-founder and VP of Engineering Ben Porterfield has a background in engineering and product roles at a number of Silicon Valley start-ups. Why Looker is Best in Big Data: Their platform makes it easy to ask sophisticated questions about their data using familiar business terms, create easy-to-read reports and intuitive dashboards, and more. Looker leverages today's big data databases to empower your team to query massive amounts of data and get reliable, trustworthy answers to make more informed decisions. Pixlee enables brands to leverage user-generated content to improve sales and drive engagement with real, authentic customer stories. Why Pixlee is Best in Big Data: The platform has photo intelligence that picks pics to optimize content performance and a full suite of analytics to provide you with new customer insights, thereby saving your team time. With Pixlee, tasks like obtaining photo permissions, identifying and tagging images of your products, and removing spam are all a breeze. 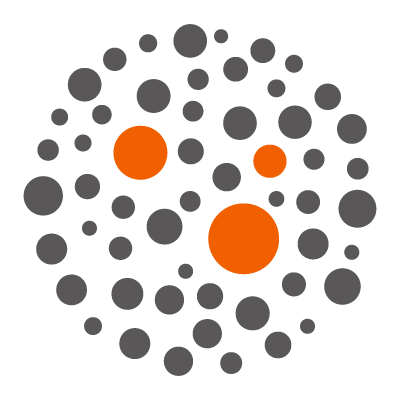 The Hazelcast open source in-memory data grid (IMDG) enables enterprises to manage their data and distribute processing using in-memory storage and parallel execution for breakthrough application speed and scale. Co-founder and VP of Technical Operations, Fuad Malikov is a keen advocate of community involvement, while CEO Greg Luck has worked in Java for 15 years and is a member of the JCP Executive Committee. 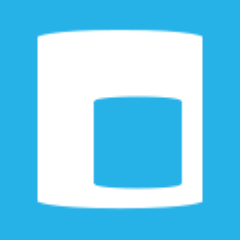 Why Hazelcast is Best in Big Data: Hazelcast IMDG is easy to work with and brings a highly resilient and elastic memory resource to big data applications. Hazelcast IMDG has been designed to continuously process big data volumes, while ensuring low end-to-end latency. 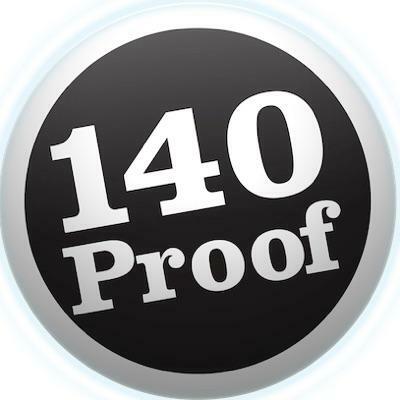 140 Proof offers precision in mobile advertising, leveraging data from a wide array of social networks to serve people ads that they're interested in. Why 140 Proof is Best in Big Data: Their patented Blended Interest Graph ingests data from over 600 million social media accounts, painting a more complete picture to build nuanced, comprehensive audiences. Delivering ads in banners, interstitials, video, and expandables, their technology integrates easily with apps from news to games to finance and more. Infochimps aim is to make the development and deployment of big data applications faster and simpler with a robust suite of scalable cloud services. Why Infochimps is Best in Big Data: Big data solutions are often far too time-consuming and complex, no matter the industry; Infochimps solutions allow enterprises to unlock the value of their data with unparalleled speed and flexibility, no matter the industry. Whether you're serving ads in media applications and video platforms, engaging retail customers, or making important decisions in the financial sector, Infochimps cloud-based solution can deliver the insights you require at speed. SmartZip is a predictive marketing platform for real estate that combines big data, predictive analytics, and automated marketing to help your business grow. President and CEO Avi Gupta, PhD has almost 2 decades of technology expertise under his belt with companies like Mentor Graphics, arcadiaOne, and the Intel Corporation. Why SmartZip is Best in Big Data: Their data-backed predictions allow you and your team to save time and resources by focusing only on the most likely sellers instead of on an entire ZIP code. With just a few clicks, you can enable automated, consistent marketing to your top prospects, building your brand and saving even more time. 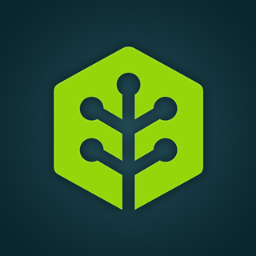 Rainforest provides QA testing for web and mobile applications that can get you on-demand results in as little as 30 minutes. Why Rainforest is Best in Big Data: If your development team is agile and fast-moving, waiting for QA testing can seriously slow your time to deployment; Rainforest's AI-powered CrowdTest Platform keeps your team coding faster and more. With Rainforest's intuitive interface and the ability to write tests in languages you already know, you can get your testing started in just ten minutes. Enigma offers data management and intelligence solutions that organize and connect your data, then layer it with external public data to uncover new insights and show you the big picture. Prior to his work at Enigma, CEO and co-founder Hicham Oudghiri managed the private sustainable finance program at BMCE Bank, while Chairman and co-founder Marc DaCosta, PhD, is an expert in the ways that data can transform the way organizations operate. Why Enigma is Best in Big Data: Integrating this public data with your internal datasets provides your enterprise with a much broader view of the world, which you can use to power smarter decision-making and workflows. 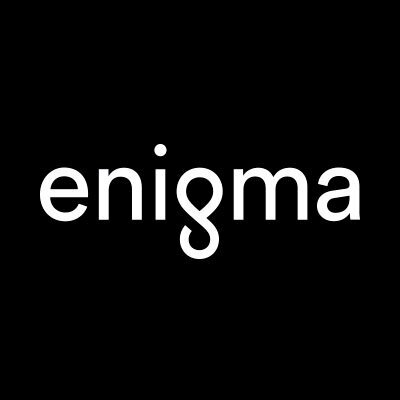 They even offer Enigma Public, a free, public community platform that's built on the world's broadest collection of public data. Automatic is the only car monitor that offers unlimited monitoring with no fees, along with unlimited 3G. Why Automatic is Best in Big Data: It's simple to set up, too: just hook it up under your dashboard and it will sync all your driving data with your smartphone via the Automatic app. Log trips, diagnose engine lights, track mileage for business expenses, and, with Automatic Pro, even let the app automatically contact emergency services in the event of a crash. Read: Where Are the Most Aggressive Drivers in America? Catchpoint is a digital experience intelligence platform for business that works to improve service delivery and solve issues before they become problems. Prior to Catchpoint, CEO and co-founder Mehdi Daoudi has over 10 years of experience in the tech industry at companies like Google and DoubleClick alongside co-founder and CPO Dritan Suljoti, while CTO and co-founder Scotte Barkan has been innovating software architecture at various companies for over 20 years. Why Catchpoint is Best in Big Data: It allows you to monitor every aspect of every customer's digital journey, helping you gain insight into your company's digital services to preempt outages and mitigate poor performance. 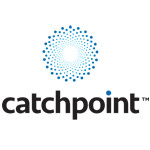 You can use Catchpoint's consistent, measurable data to pinpoint the cause of a performance bottleneck, monitor transactions, and other critical end user interactions, and otherwise optimize your organization's digital services for the best possible performance. Vast provides better data for the biggest purchases in consumers' lives, with big data solutions for the automotive and mortgage banking industries. Why Vast is Best in Big Data: CarStory, their automotive solution, combines data management services with data science to form a premier source for VIN-related information, consumer demand insights, and more, all designed to help dealers move more inventory. HomeStory, their mortgage banking solution, integrates every element of home buying (from discovery to agent selection to analytics) right into a lender's site, providing a smooth experience your customers will love. Amino uses big data to guide people toward better, more affordable care, providing information on the cost and quality of doctors and facilities that you won't find elsewhere. Why Amino is Best in Big Data: This simple service gives you personalized recommendations for the care you need based on data representing nearly every doctor in the country and experiences from more than 220 million Americans. Amino also helps you estimate the cost of procedures and services ahead of time according to your insurance plan. You can even book appointments via email and text, making easier than ever to get the right care. Alation is a data catalogue that's designed from the ground up for collaboration, allowing everyone in your organization to work from the same data. CEO Satyen Sangani previously spent almost 10 years at Oracle and, prior to that, was an associate at the private investment firm Texas Pacific Group and an analyst with Morgan Stanley & Co.
Why Alation is Best in Big Data: Their solution automatically indexes all of your data by source and gathers knowledge about it, helping your team work better together to improve productivity. Their smart catalogue even makes recommendations as you write data queries and reveals proper data usage, making it easy for everyone to use vital data. Read: What makes Alation a Gartner 2016 Cool Vendor in Data Integration and Data Quality? DataXu offers marketing analytics for both brands and agencies that use data science to create an open, flexible marketing platform. President, CEO, and co-founder Mike Baker was an early believer in mobile marketing and was previously CEO of industry pioneer Enpocket. Why DataXu is Best in Big Data: With their insights, marketers can easily learn to better understand their target customers and engage them on any device. Using programmatic marketing, DataXu is not only helping marketers engage consumers, but also providing quantifiable evidence of how marketing helps organizations grow. Trifacta's data-wrangling tools and software help organizations unlock the true power of their data and use it drive success, innovation, and productivity. CEO Adam Wilson brings over 18 years of experience big data leadership roles to Trifacta, including multiple roles at Informatica. 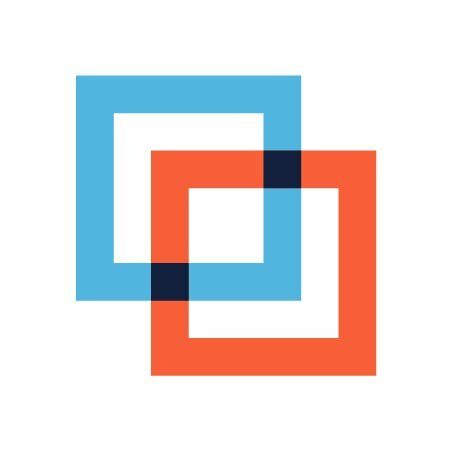 Why Trifacta is Best in Big Data: They've reimagined how analysts use data with cutting-edge techniques in visualization, machine learning, data processing, and more. Trifacta also provides support for open-source and vendor-specific security, letting you maintain control over visibility and overall data wrangling. MemSQL's real-time data warehouse, built for both cloud and on-premises operations, has the power to deliver your analysts instant insights on both real-time and historical data. Co-founder and CEO Eric Frenkiel previously worked on partnership development at Facebook and is a veteran of numerous consumer and enterprise start-ups, while CTO and co-founder Nikita Shamgunov worked on core infrastructure systems at Facebook and as a senior database engineer at Microsoft SQL Server prior to helping create MemSQL. Why MemSQL is Best in Big Data: Their technology allows you analyze petabytes of data and delivers record-breaking analytic performance on a single platform. It also offers complete deployment flexibility, with hybrid cloud and multi-cloud models that you can run anywhere. Wellframe is helping healthcare providers improve their clinical services with a range of solutions that empower care managers to more effectively manage their patients. President, CEO, and co-founder Jacob Sattelmair trained at both Harvard and Oxford to become a public health scientist and technologist, while co-founder and Chief Medical Officer Trishan Panch, MD, managed his own practice for almost 10 years and is a health systems expert. Why Wellframe is Best in Big Data: Their mobile platform, for example, connects an HIPAA-compliant, patient-facing mobile app to a care management dashboard that provides frictionless and frequent patient-to-provider communication, improving care on all levels. Wellframe's dashboard even offers top-notch insights into patient behavior, which allows managers to prioritize intervention and ensure they're sticking with their care plan. Intent Media leverages data science and deep customer knowledge to help travel brands live up to their revenue potential. Co-founder and CEO Richard Harris was Senior Vice President of Strategy and Distribution at Travelocity prior to helping found Intent, while co-founder and Intent President Damon Tassone served as Deputy CEO for Travelocity Europe and lastminute.com. Co-founder and Voyat President Josh Feuerstein was a Senior Vice President at Travelocity. Why Intent Media is Best in Big Data: They know that only 5% of visitors to any given travel site make a purchase, which is why their solution focuses on monetizing those shoppers who are unlikely to complete a transaction. They do this by showing them ads on your website that are targeted to their specific travel criteria; they show these only to unlikely purchasers, so you're still protecting your transaction revenue. HealthCrowd is aiming to change healthcare communications as the industry's first end-to-end communications solution. Founder and CEO Neng Bing Doh is a pioneer in healthcare mobile messaging who previously worked in the digital advertising network space as a senior executive in both business development and product functions. Why HealthCrowd is Best in Big Data: Their Unified Communications Platform uses different modalities, from text to voice to email, all working together to drive members to engagement and action. Their aim is to maximize the value of each and every customer communication, driving healthy outcomes while minimizing demand on your resources. TellApart's predictive marketing platform enables marketers to understand what customers truly want so they can show them the right product at the perfect time, driving discovery and customer satisfaction. Why TellApart is Best in Big Data: Their Identity Network Service uses anonymous data from online and offline sources alike to craft IDs for shoppers, giving you insights into your customers' behavior. Then, their machine learning algorithms kick in to bring those customers the products of interest to them, delighting shoppers and increasing transactions. 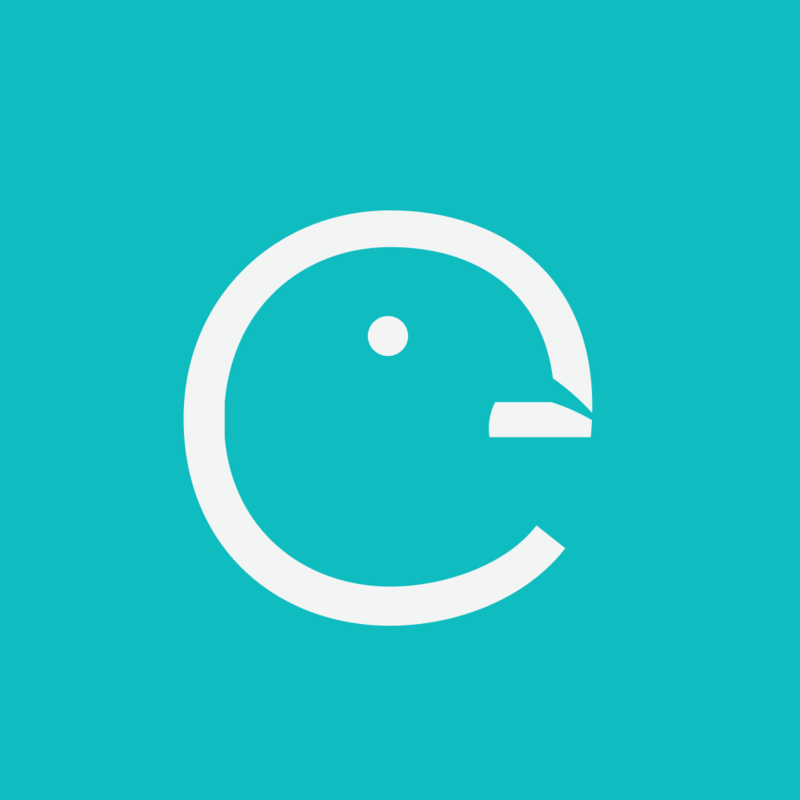 Edgecase (formerly Compare Metrics) is a product intelligence platform that provides retailers with enriched product data and actionable insights. CEO Susanne Bowen has over 30 years of experience as a technology executive, having previously served as CEO of cloud-based talent management company PeopleAdmin, President and CEO of mobile delivery platform Nellymoser Inc., and more. Why Edgecase is Best in Big Data: This data helps their clients improve product findability and relevancy, which in turn powers an engaging, inspiring shopping journey. Their insights help retailers understand how customers are interacting with product data at the attribute level, allowing for a deeper understanding of how attribution strategies are performing. The GridGain in-memory computing platform enables data-intensive applications to increase performance by 1,000x versus disk-based databases and scale out to petabytes of in-memory data. Why GridGain Systems is Best in Big Data: Their platform offers massive scalability and tremendous speed with the ability to add new nodes to the distributed computing cluster at any time, and it's even easy to deploy. This solution is built to address the challenges of modern fast data, and will help your company unleash the true potential of its data, whether it's deployed on-premises or in the cloud. 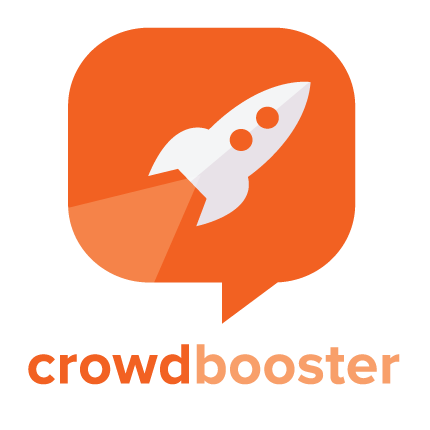 Crowdbooster helps social marketers measure and optimize their marketing by gathering real-time data, offering tools to organize it, and advising where to share what content. Why Crowdbooster is Best in Big Data: With their audience insights, you'll learn to quickly adapt to your target market and even improve your content to make it more engaging. Their platform also lets you schedule an unlimited number of tweets and Facebook posts, and Crowdbooster will show you the best time to post them for maximum engagement. 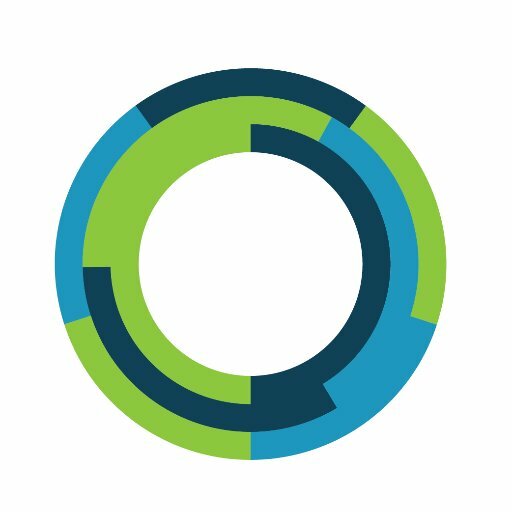 Qstream helps salespeople be great at what they do, in just minutes a day, by combining analytics, coaching, and knowledge and skills reinforcement in one convenient mobile app. CEO and Co-founder Duncan Lennox previously co-founded WBT Systems and served as its CTO, while co-founder and CTO Barry Paul worked in senior engineering roles at Siemens Medical Solutions, WBT Systems and Cinemaware prior to helping to create Qstream. Why Qstream is Best in Big Data: Qstream delivers a series of Q&A-based challenges to sales and other customer-facing teams over spaced intervals to reinforce core knowledge and skills. Visual dashboards and reports then help sales leaders measure training impact and team progress over time, aligned to key performance and productivity indicators.Their methods are scientifically proven to change behavior, as shown by more than 20 clinical trials. Pigeonly is working to make inmate services more affordable and easier to use, offering multiple ways to stay in touch, from phone calls to photos to letters and postcards. Why Pigeonly is Best in Big Data: Voice, their phone call solution, enables you to make calls to inmates at a reduced rate and to receive calls from an inmate free of charge. They even offer an app that provides a free support community for the wives and girlfriends of the incarcerated. Lytics' cutting-edge customer data platform gives you the customer information you need to turn every customer into a VIP. Prior to co-founding Lytics, CEO James McDermott was CEO of the mobile software company Storycode, while co-founder and CTO Aaron Raddon was a soft engineer at Webstrends. Why Lytics is Best in Big Data: Their platform brings you all of the engagement data you need, from purchasing to email to sales and more, so you can bring personalized marketing messages to each and every customer. This data can be used to target social media ads more efficiently, increase website engagement, and send more relevant email messages, all with the potential to dramatically improve ROI. Metamarkets' SaaS solution helps companies in the programmatic space turn reams of auction data in the insights they can use to drive revenue and performance increases. Founder and CEO Mike Driscoll has over a decade of experience in developing data analytics solutions, and previously founded and sold two other start-ups. Why Metamarkets is Best in Big Data: The platform features an intuitive interface that enables anyone, from CEOs on down, to get their questions answered without turning to a data analyst. It's also designed from the ground up for security, with SSL-encrypted transfers, secure storage, and self-service permissioning keeping control of your data where it should be: in your hands. DataTorrent's real-time big data analytics applications enable teams to make instant decisions as events are happening. Why DataTorrent is Best in Big Data: This has a huge impact on business agility, which in turn powers better outcomes. Whether you build applications to ingest and transform streaming data, provide real-time customer intelligence, or improve fraud detection, DataTorrent's technology keeps your business up to speed. BlueShift leverages artificial intelligence to power multi-channel customer engagement for growth marketers, enabling them to respond to every customer behavior. Why BlueShift is Best in Big Data: Their AI-powered recommendations provide predictive content that's tailored to each user while still keeping control in the hands of marketers. This allows them to leverage your shopping community to craft useful recommendations based on similar visitors, brands, categories, price points, and more. 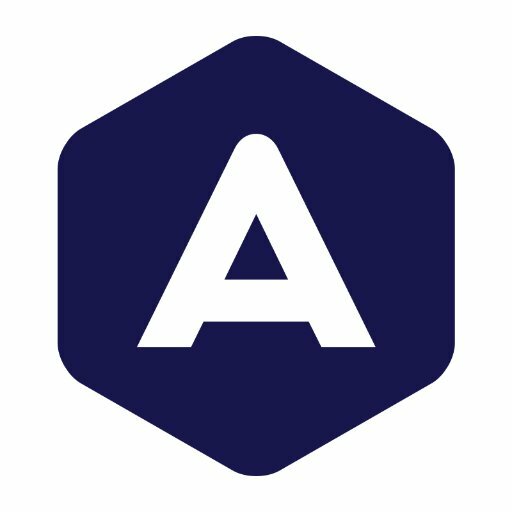 AppLovin is built to help mobile marketers reach new customers on a massive scale, helping you find those users who are most likely to download your app. Why AppLovin is Best in Big Data: Their algorithms determine the most relevant apps for your ads to appear on, and show them to the right users. Of course, you can view and measure your metrics in real-time, tracking the results of your marketing and seeing how consumer actions affect your ROI. 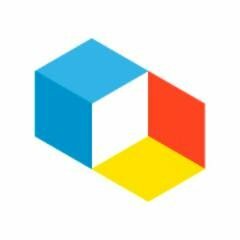 Weft provides global asset tracking, with insights and visibility across all transportation modes so that you can make smarter logistics decisions. Why Weft is Best in Big Data: With Weft's platform, you can avoid shipping delays thanks to real-time visibility into possible bottlenecks or disruptions, anomalous behavior, and more. Also enabling you to monitor weather, traffic, and port congestion, Weft's tracking works to help make your supply chain as resilient as possible. Curbside is bringing connected mobile commerce to brick-and-mortar retailers with a shopper-centric platform that's built to get your products into customers' hands at the exact moment they're ready for them. Why Curbside is Best in Big Data: ARRIVE, their location technology, provides retailers with real-time alerts when customers are approaching, enabling better service and more positive interactions for things like restaurant take-out, same-day delivery, and more. Their platform is a turnkey solution that comes with everything you need to run e-commerce out of your stores, helping you bridge the gap between online and offline commerce. VoiceBase offers APIs for speech recognition and speech analytics, empowering enterprises to collect up to 3,700 times more information than online data alone. Why VoiceBase is Best in Big Data: Their technology allows you to tag and analyze key words and phrases spoken by customers, helping your sales team quickly identify quality leads and providing actionable call data. It can even replace your human call scoring with machine scoring to score each and every call while still saving money. 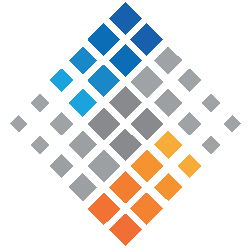 Silicon Valley Data Science specializes in agile and business-focused data solutions, including data pipelines, applications, and analytics. CEO Sanjay Mathur has broad experience in the field of data and analytics, including in customer-facing roles, R&D, management, and sales. Why Silicon Valley Data Science is Best in Big Data: With their advisory services, you can learn how your business can better use its data capabilities and analytics technologies, as well as how you can achieve your data processing, data science, and analytical goals. When they help your company deploy a data strategy, their experts are embedded in your team, working collaboratively to uncover the best approach. 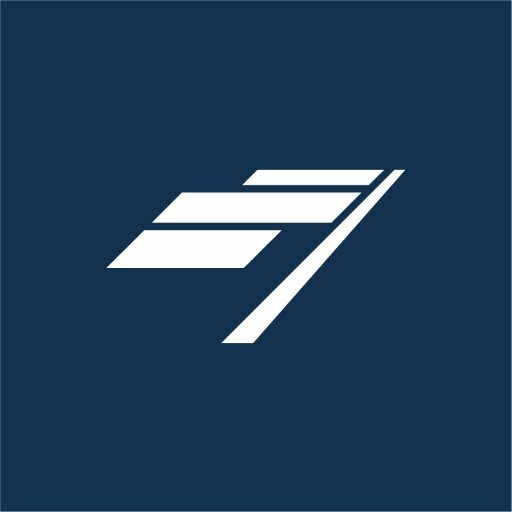 numberFire is a next-generation sports analytics platform that uses unstructured and misunderstood sports data to predict outcomes with more accuracy than any of their competitors. Why numberFire is Best in Big Data: They analytics are so strong that using their fantasy football projections, for example, instead of the platform defaults, can result in a 30% performance increase. Using advanced metrics and state-of-the-art predictive algorithms, numberFire's data science is changing the game. Read: Is LeBron James Finally Better Than Michael Jordan? Granify is an automatic revenue optimization platform built for eCommerce that learns the objections that keep shoppers from completing a transaction, presenting a message or stimulus to alleviate their concerns. Why Granify is Best in Big Data: This entire process is automated; Granify monitors over 400 attributes per second along each customer's journey, requiring no additional time or effort for your team. They'll even work to integrate custom-designed messages for you, so your potential customers see branded messages that reel them back into a transaction. itembase helps users get their purchases organized, creating a personal inventory that lets you keep track of all your online purchases in one place. Why itembase is Best in Big Data: It works by connecting to your email inbox and automatically finding all of your purchase-related emails, no matter how old, and using them to build your inventory. It even tracks each item's shipping information, resale value, and any warranties, giving you all the data you need at a glance. Beyond Pricing is a pricing tool for Airbnb hosts that automatically sets the proper price for your rental property and adjusts it as necessary. Founded in 2013 by veterans of revenue management in the airline and hospitality space, Beyond Pricing is the world’s first most popular revenue management and dynamic pricing software exclusively for vacation rentals. Driven by big-data machine learning and predictive analytics, Beyond Pricing dynamically prices over 120,000 listings in more than 1,000 markets worldwide. Co-founder and CEO Ian McHenry has consulted for some of the world's largest hotels and airlines while working at Oliver Wyman, while co-founder and CTO David Kelso is an experienced developer who has built products that are used every day by millions worldwide. Why Beyond Pricing is Best in Big Data: Using the same kinds of tools that hotels and airlines utilize, it analyzes market data in your property's area to come up with competitive daily rates for the whole year. It's simple to use too; just link your Airbnb, HomeAway/VRBO, or property management system to it to get started, and see your pricing recommendations in under a minute. 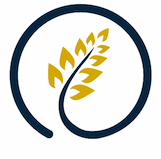 Bitvore provides precise, proactive intelligence for businesses that can yield insight into your portfolio and early awareness of emerging problems. Why Bitvore is Best in Big Data: Bitvore provides a personalized surveillance system that shows you the specific changes impacting each holding, watching for over 300 changes that can impact your bottom line. It also works to spot more deals for you, helping you be the first to move on greenfield opportunities, better understand your customers, and more. Kyruus offers patient access solutions for the healthcare industry that help match patients with providers, book appointments, and create a smoother patient experience overall. CEO and co-founder Graham Gardner was previously a Venture Executive at Highland Capital Partners, where he co-founded the genetic benefit management company Generation Health, while CPO and co-founder Julie Yoo was the VP of Clinical Product Strategy at Generation Health prior to her work with Kyruus. Why Kyruus is Best in Big Data: ProviderMatch, their enterprise-wide patient access solution, gives agents the tools they need to properly match patients and providers, enhance service levels, and more. It also gives patients an easy way to search for their own providers and schedule appointments online, and makes it easier to submit referrals. Reonomy is the largest database of CRE properties, companies, and people in the US. CEO Richard Sarkis, previously an Associate Partner at McKinsey & Company (where he specialized in Financial Services), is a serial entrepreneur who has launched and run numerous businesses. Why Reonomy is Best in Big Data: Their web application allows brokers, investors, and lenders to source opportunities and contact the right owner, in seconds. Their enterprise APIs and applications save banks, brokerages, hedge funds, and other large institutions millions of dollars by providing seed data, performing data matching services, and offering functionality that isn’t available elsewhere. 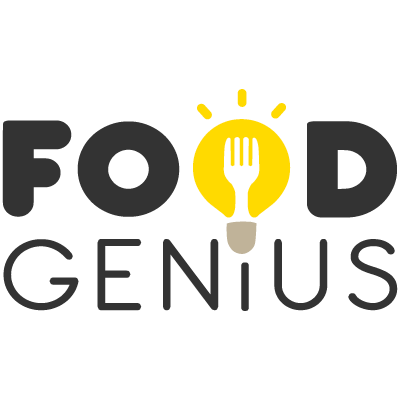 Food Genius leverages data and analytics to provide insights and intelligence for manufacturers, distributors, and operators. Why Food Genius is Best in Big Data: It works by mapping menu items to back-of-house products, then feeds the entire supply chain smarter, more digestible analytics. Foodservice businesses can use these insights to reduce waste, improve operations, and more. NexLP leverages the power of AI and machine learning to bring you actionable insights from both structured and unstructured data. Founder and CEO Jay Leib is a serial entrepreneur who has successfully founded and led multiple software start-ups, and has over a decade of experience in the technology industry. Why NexLP is Best in Big Data: They believe that human-guided AI is the future of modern data analysis, and their platform can help your analysts derive the right insights from massive amounts of data in record time. NexLP's technology can help your business improve performance while reducing spend and unlocking the solutions to your toughest challenges. Health Gorilla is a secure clinical network that can give you a complete picture of each patient's health history thanks to a truly universal electronic medical record. Co-founder and CEO Steve Yaskin is a veteran founder of big data companies Queplix and QueWeb, while CTO and co-founder Andrei Zudin, PhD, has 15 years of experience in software development. Why Health Gorilla is Best in Big Data: You can use it to place electronic orders with any lab or facility in their network, securely share medical records with family or other providers, and more. For patients, it's a useful tool for organizing all of your medical records in one place, communicating with thousands of physicians and specialists, and planning for your health. Poshly is a fun new way for consumers to discover products by answering survey questions to win prizes, while brands can use the survey feedback to improve their products. Why Poshly is Best in Big Data: Users are engaged by the surveys and the chance to win great prizes, while your brand can gain valuable insights you can use to prioritize your marketing campaigns. If you're an interested consumer, you don't even have to win to benefit; just by completing Poshly quizzes you'll receive perks like discounts and product samples. Bridg presents a new way for businesses to reach the 80% of customers who never opt-in to email lists or online ordering by unlocking point-of-sale data. Founder and CEO Amit Jaan has deep experience in the world of big data and marketing, and previously helped found the Google Advisor service and served as a founder or co-founder at Terra Matrix Media, Savings.com and YouMail.com. Why Bridg is Best in Big Data: Their CRM hyper-targeting technology is built to engage the guests most likely to make a purchase, and is efficient when it comes to unlocking new guests who have the potential to become customers. It even saves you time and money at reactivating lapsed customers by targeting those whose behavior has changed and made them more likely to return. CloudMedx is a clinical AI platform that uses the latest technology in the field to help clinics improve outcomes while simultaneously lowering costs. Why CloudMedx is Best in Big Data: It ingests your clinical data in both structured and unstructured formats, then helps you make informed decisions based on that data. Their platform can also automatically optimize workflows and present you with insights at the right time to improve them even further. Aromyx has built a platform capable of digitizing scent and taste, capturing the biochemical signals that tell us if we're smelling coffee or perfume. Founder, Chairman, and CEO Chris Hanson has 20 years of experience working with early-stage companies, and previously spent 10 years at IBM orchestrating a variety of R&D programs. 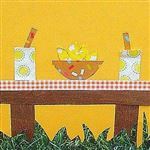 Why Aromyx is Best in Big Data: They have uploaded this sensory information to a data cloud that businesses can access to help them create a new scent or perfect a taste. This is made possible through the EssenceChip taste and scent sensor, which enables Aromyx to digitize and standardize human sensory data and make it available for analytics, lab equipment, and other purposes. PeerWell's Prehab app helps users prepare for elective surgery to improve outcomes and recovery times. Why PeerWell is Best in Big Data: Once a patient is given access to the app, they'll see a daily checklist of activities that will help them prepare for their surgery. This allows patients to recover faster, and it enables clinicians to perform more surgeries on healthier patients than ever before. 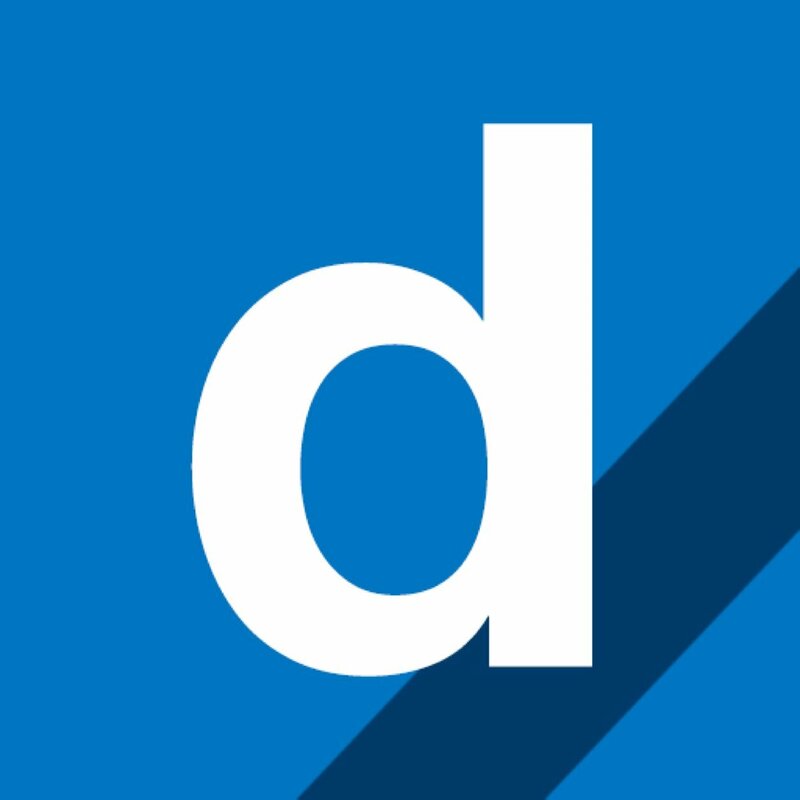 DiligenceVault is a fintech platform for investment managers and institutional investors to help streamline the due diligence process. 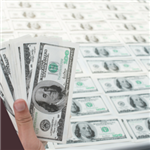 Why DiligenceVault is Best in Big Data: This platform helps capture efficiencies for investors and managers, thus bringing down cost for the industry overall and improving the process of information exchange. The data exchanged by managers and allocators is not publicly available, it belongs to those entities and whoever they choose to share it with in a mutualized process of information exchange. Vizalytics Technology creates location-based business intelligence, using both open and private data to power enterprises, government organizations, and more. CEO Aileen Gemma Smith has built her career on breaking down data silos, while CTO Chris Smith has more than 25 years of experience in web technologies, search, and enterprise-scale architecture. Why Vizalytics Technology is Best in Big Data: By leveraging their access to near-unlimited stores of data, they produce a Knowledge Graph featuring location-specific insights mapped to user intent. Vizalytics builds cloud-based, customized data solutions that enable enterprises and others to tap into the power of their data in real-time, minus the massive time sink this would usually require. 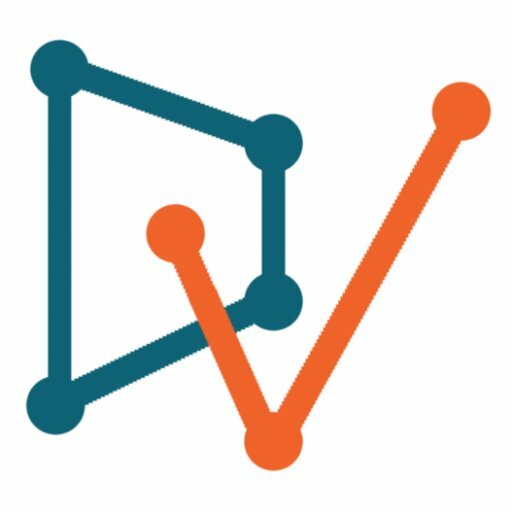 Neudata is an online platform for new dataset discoveries that aims to provide unique and timely records of economic activity. Founder and CEO Rado Lipu has 18 years of leadership, sales management, and FinTech experience, and has worked with some of the world's leading financial services firms and financial data and analytics providers. Why Neudata is Best in Big Data: Their expertise extends to datasets that aren't available on other established data platforms, bringing investment managers granular economic data they can't get anywhere else. Their scouting team is always out hunting down new datasets and providing research and meta data on hundreds of alternative data sources. Neudata updates their clients on new sources and research on a daily basis. Grand Rounds is aiming to make health and healthcare easily accessible to everyone with a data-driven approach that gives businesses' employees the tools they need to select the right care. CEO and co-founder Owen Tripp previously co-founded the online reputation management solution Reputation.com, and held leadership positions with eBay and Accenture, while his co-founder, Lawrence Hofmann, MD, is Chief of Interventional Radiology at Stanford Hospital and a Professor of Radiology at the Stanford School of Medicine. Why Grand Rounds is Best in Big Data: Their approach leverages big data to help employees find the right physicians for them, dramatically improving outcomes with an impact on care quality, accessibility, and cost. By finding the right providers, employees can gain access to better preventative care and pre-surgery consultations, and they can learn more about their overall health. Intralinks provides secure, virtual data rooms and document sharing, so you can safely share your high-value data with teams, partners, customers, and more. Stephen Waldis is the CEO and Founder of Synchronoss, parent company of Intralinks, and has over 20 years of experience in both start-up and senior executive management positions. Why docTrackr is Best in Big Data: Their highly configurable workspaces empower users to collaborate with anyone, anywhere, while at the same time being safe in the knowledge that your data is secure. Intralinks offers data-sharing solutions for a huge assortment of industries, from banking and securities to legal services, all built on the back of their powerful, versatile platform. Orbital Insight is literally generating insights, data and information from satellite imagery that help companies, businesses, governments and nonprofits make informed decisions that will have long-term effects. With an unbiased knowledge of social, geographical and real-time trends from millions of analyzed images, they are a valuable resource in making smart decisions that will last for generations. Founder and CEO James Crawford brings two decades of expertise in the field of innovative software products, working on climate data, robotics and business insights across an array of industries. 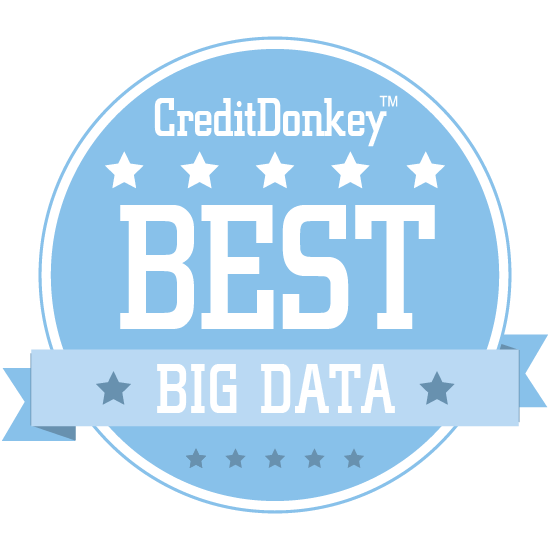 Share on Facebook "Best in Big Data"